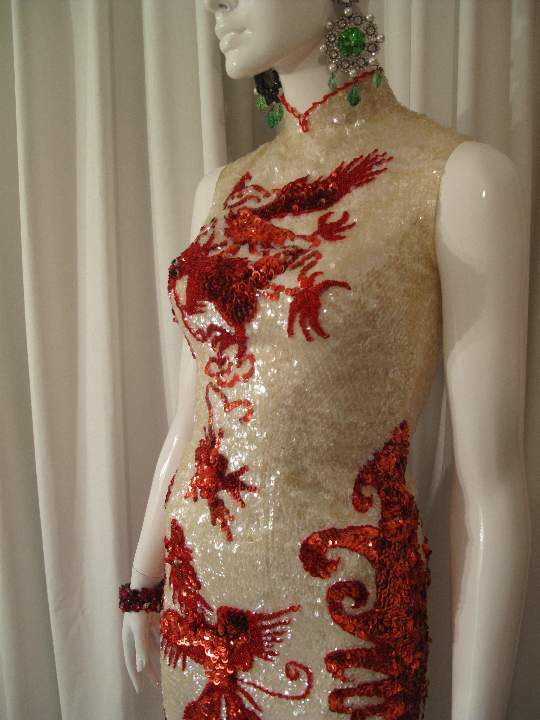 Traditionally cut Chinese style dress covered in clear iridescant cup sequins. 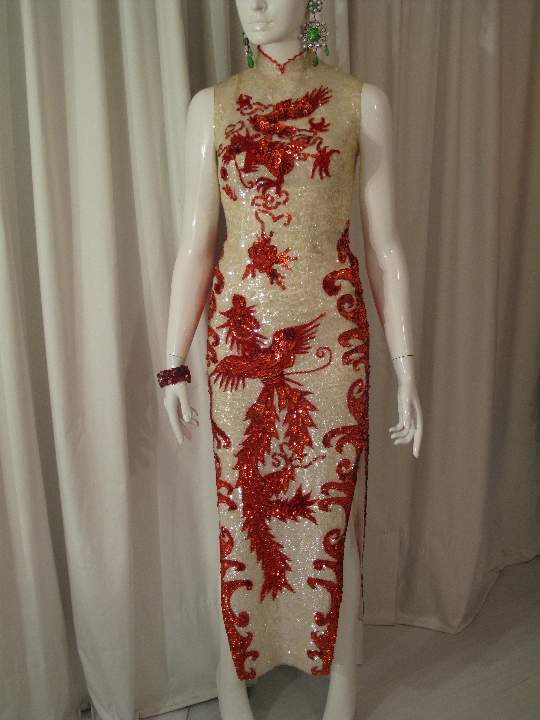 The dress has mythical characters of dragons and phoenix and scrolled fire emblems. 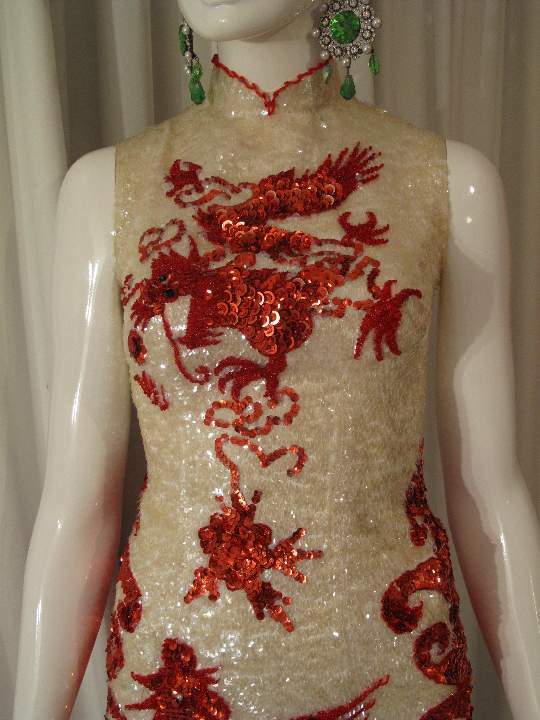 They are made up of red discs and cup sequins with red bugle beads, they have pearl bead eyes! 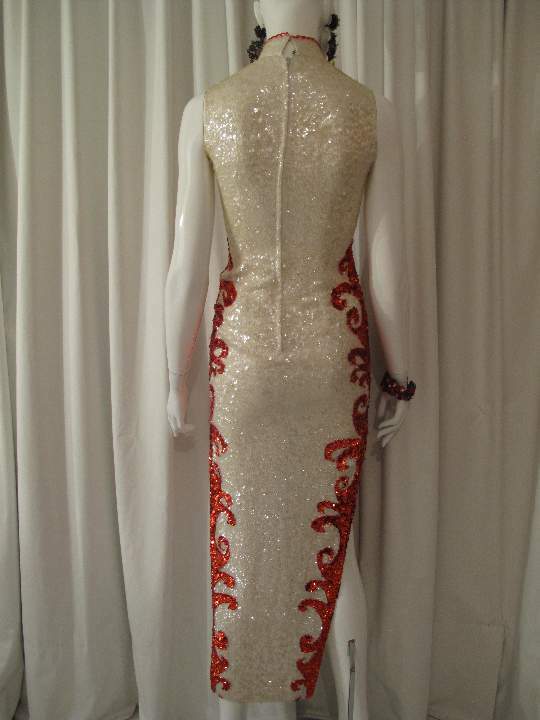 The dress is fully lined in white and has traditional thigh high side splits. Earrings and cuff... not for sale.